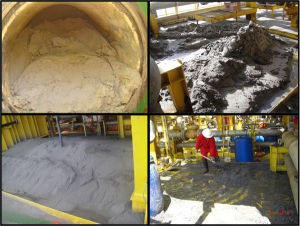 All oil & gas wells produced sand…therefore all surface facilities must be capable of managing sand in the flow stream. 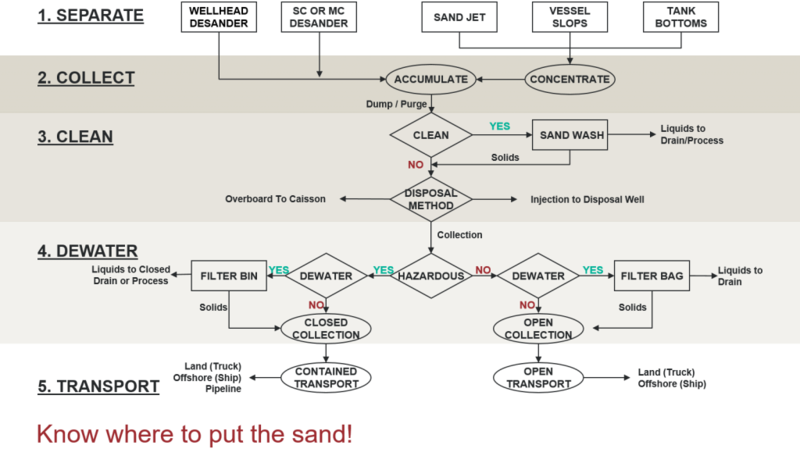 A thorough facilities design requires Five Steps (see graphic below) to fully manage and handle the sand produced. Each step – from separation to disposal – must be integrated into the facility design to maintain hydrocarbon production and prevent flow interruption or equipment shutdown. Separate: Solids are first removed from the well or process fluid stream. This is accomplished with a Multiphase Desander, Liquid Desander, vessel drainage, or from settled tank bottoms. Collect: To facilitate simple system design, all separated solids are gathered into one central location for isolation from process pressure/flow. Collection is as simple as a Desander Accumulator Vessel, or a dedicated Sump Tank. Clean: In many cases the sand requires oil removal prior to further handling. The eProcess Sand Wash System is a modular add-on to remove the hydrocarbons. Dewater: Removal of free liquids (water) from sand slurry to minimize disposal volume. 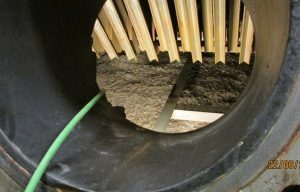 The simplest methods use an eProcess Dewatering Systems with a handing mesh bag or screen lined bin. Transport: Bring the solids to a disposal location. The design is dependent upon the location (land based or offshore) and disposal requirements (i.e. disposal well, overboard, landfill, road surfacing, etc. ).